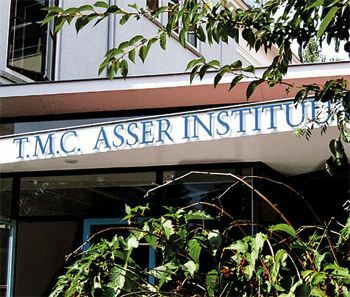 The Asser Institute will hold its second Doing Business Right Winter Academy – from 28 January to 1 February 2019. The academy is an educational program dedicated to the growing field of business and human rights. After the adoption of the UN Guiding Principles on Business and Human Rights in 2011, a flurry of initiatives by international organizations, national governments, corporations and civil society organizations have seen the light. New national laws are being adopted, new corporate codes are being drafted, and new international treaties are being negotiated and regulated. Our Winter Academy will be a new generation of lawyers with the necessary theoretical and practical skills to navigate and actively engage with these transformations, as a lawyer, NGO activist, corporate adviser, government official or researcher. The Winter Academy will feature high level academic lecturers who are currently shaping the scholarly debates on business and human rights and practitioners with a hands-on experience in the field. Participants will acquire a well-rounded understanding of soft and hard, legal and non-legal accountability mechanisms, and numerous interactive sessions that provide the opportunity to apply theoretical insights to various concrete case studies. Hey Buddy!, I found this information for you: "Doing Business Right Winter Academy – The UN Guiding Principles on Business and Human Rights: From theory to practice". Here is the website link: https://www.duurzaam-ondernemen.nl/events/doing-business-right-winter-academy-the-un-guiding-principles-on-business-and-human-rights-from-theory-to-practice/. Thank you.